The Institute for Biodiversity and the Environment exists to inform and motivate the conservation, preservation, and restoration of biodiversity, and the environment upon which it depends, through research, education, and the dissemination of knowledge. Your support of the Pacific Crest Trail Mega-transect project or the Institute for Biodiversity and the Environment as a whole goes directly towards funding the conservation, preservation, and restoration of biodiversity, and the environment upon which it depends, through research, education, and the dissemination of knowledge. Thank you for your support. and maintenance of the database and web-based applications/tools. The Pacific: Historical and Environmental Frontiers. Faculty and students across disciplines are invited to contribute to this ongoing project that charts the Pacific Ocean’s faunal pasts through a synthesis of archival historical research and digital methodologies. Emphasis is also given to understanding the ways that local cultures have helped to shape environments and ecologies across time with particular emphasis on California and the Pacific Northwest. Principal Investigator: Richard Ravalli, Ph.D.
2. 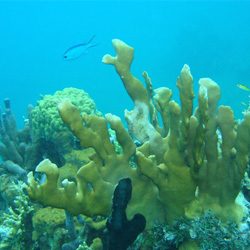 Survey and track fish biodiversity on coral reefs as the marine protected areas are established. Our study of reef fish biodiversity in Haiti is an exciting new initiative with significant implications for the coastal ecosystems and people of this developing nation. We are surveying the fisheries and reefs within newly-formed marine protected areas to collect essential baseline data for future species and resource management. Throughout the scientific process, we are engaging and training local fishers and students to understand and conserve their own resources. Principal Investigator: John Richert, Ph.D.
1. Investigate the biology and chemistry of landfill leachate. 2. 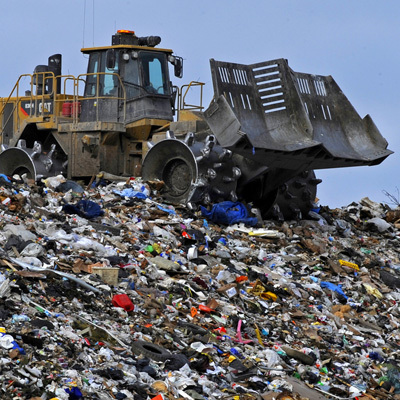 Investigate the composition and production of gas emissions from a commercial urban landfill. Municipal waste is never ending product of urban cities with the average individual in the US producing about 4.4lbs per day. Given the continued decadal urban growth, the appropriate recycled and landfilling of this material will likely present a great management challenge for city utilities charged with processing it. Although landfilling of waste is well-established, best management procedures are still evolving to minimize the carbon footprint of this remediation technique. Principal Investigator: Fungai Mukome, Ph.D.
Organize conferences for churches to learn about the biblical perspective on our current environmental crises and inspire Christians to value caring for God's good world. Publish a book that explains the biblical story of God's new-creation kingdom and explores its present-day implications for followers of Jesus. 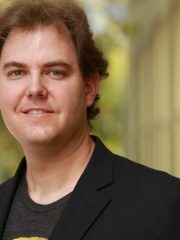 Principal Investigator: Matthew Godshall, Ph.D. 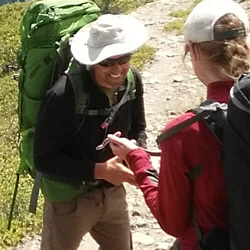 The Pacific Crest Trail (PCT) Biodiversity Megatransect is an ambitious ecological study that involves undergraduate researchers and faculty in WJU’s Environmental Science program. Surveys for hundreds of vertebrate species using a variety of novel, noninvasive techniques are conducted continuously as observers hike the trail along the PCT. 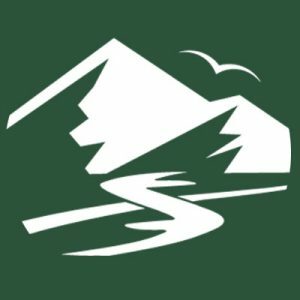 The PCT is a hiking trail that runs from the Mexican border to the Canadian border along the mountain ranges of California, Oregon, and Washington (2,650 miles long). 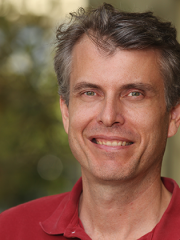 Principal Investigator: Michael McGrann, Ph.D. 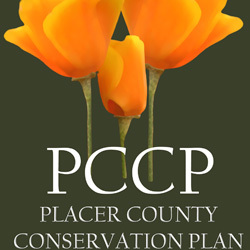 The Placer County Conservation Program (PCCP) is a local, county-based conservation initiative. The purpose of PCCP is to streamline the permitting process and facilitate economic growth while also conserving natural resources throughout Placer County. It will allow a single government entity, Placer County, to issue state and federal permits for local development within the county. The PCCP acts as both a Habitat Conservation Plan under the Federal Endangered Species Act and a Natural Community Conservation Plan under the California Natural Community Conservation Planning Act. William Jessup University and the Institute for Biodiversity and the Environment (IBE) have signed an MOU with Placer County to facilitate collaboration with the PCCP. IBE will assist with the following program needs as part of our research agenda in order to help the PCCP obtain its conservation goals, including conservation-related research, habitat restoration, wildlife population monitoring, the management and storage of biodiversity data, and the collection of baseline wildlife and habitat data for the PCCP. Specific activities may include eDNA surveys and lab analysis (PCR), GIS analysis, soil/water/air sampling, aquatic surveys, wildlife habitat surveys, and computer data storage/database development and management. As part of the PCT Biodiversity Megatransect, undergraduate students participate as researchers surveying various vertebrate species over a number of weeks while hiking through remote montane wilderness. These students, as emerging adults, are challenged both physically and psychologically. As a psychological study, transformation and identity formation are surveyed preceding, during, and prior to the PCT experience. Stress as a mechanism for change in identity formation is investigated in relationship to student experiences within a number of psychological domains. 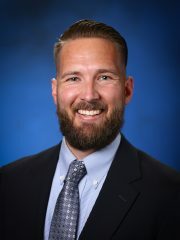 Principal Investigator: Dustin Bridges, Ph.D.
We envision an interdisciplinary community of scientists and scholars who desire to foster unity and collaboration across boundaries of faith, both within and outside the Christian community, in order to study and to help protect biodiversity. As a community of scientists and scholars who share a faith in Christ, we believe that caring for God’s good world is fundamental to our identity as followers of Jesus and, thus, offer a distinctly Christian perspective to the conversation as we seek out partnerships with individuals, private organizations, government entities, and all who share with us the broader vision to conserve, protect, and restore biodiversity and the environment now and for generations to come. We are an interdisciplinary community composed primarily of Christ-motivated scientists and scholars who all share in the Institute’s vision and are committed to the practice of new creation (see Theological Framework below). What do we mean by a community composed “primarily” of Christ-motivated scientists and scholars? Although we define ourselves as Christ-motivated - as it is our faith in Christ that unifies and motivates us in our work - we also affirm the importance of partnerships with those who share our vision but who may not necessarily share, but respect, the beliefs of our faith. Thus, we will work across the boundaries of faith and seek out partnerships both within, and outside the Christian community. the genetic diversity within and among populations. the diversity and distinctiveness of species compositions and the interactions among ecological communities. the diversity of ecological interactions (e.g., mutualisms, predation, competition, parasitisms, pathogens, etc.) among organisms, including the interactions of microbes, fungi, plants, and animals, including humans, with each other and with the nonliving environment. the diversity of functions and services provided by ecosystems. the diversity of interactions between distinct ecosystems across the broader landscape. the diversity human interactions with the living and nonliving environment. Why do we value Biodiversity? We value biodiversity because it provides direct benefits to humankind. Biodiversity enriches our lives, maintains our spiritual, mental, and physical health. In addition, as the foundation of our global economy, biodiversity provides economic benefits through recreational opportunities, food, medicine, and many other products that we consume. We believe God values biodiversity. We value biodiversity, not solely because of the benefits that it provides to humankind, but also because God has placed value on the “good” creation (see Theological Framework). Therefore, biodiversity has intrinsic God-given value regardless of whether humanity places value on it. We recognize that humankind is also part of and dependent upon the ecosystems in which we live. We must, therefore, conserve biodiversity for future generations as we consume resources for our present needs. We must also work to protect biodiversity where it presently receives minimal impact from humankind. We must restore biodiversity where it has been impacted adversely by humankind for the enjoyment of future generations. We acknowledge that we are in a global biodiversity crisis and experiencing an unprecedented loss of biodiversity, including a loss of genetic diversity, species, and ecosystem function, due to environmental change from anthropogenic drivers, including human land use and climate change. We will engage in impactful interdisciplinary environmental research and scholarship, across the sciences and humanities, addressing both theoretical and applied questions at the local, regional, and global scales. We will foster interdisciplinary dialogue as a means of resolving environmental concerns that relate to the natural and social sciences and the humanities. We will seek a broad understanding of how past and present processes, cultures, and institutions affect local, regional, and global environments. We will implement both short-term studies that address relevant questions for conservation decision makers and long-term studies that monitor trends in biodiversity. We seek to inform strategic decision-making and adaptive management in government agencies, private industry, environmental nonprofits, policy makers, and others who are responding to the biodiversity crisis. We desire to train the next generation of problem solvers who leverage skills and techniques from a multitude of disciplines to generate practical solutions to the biodiversity crisis. We seek to bridge coordination and communication gaps across administrative boundaries within and between government agencies, environmental nonprofits, private landowners and industries, and other stakeholders. We seek to lead the Christian community to an understanding of the scientific, social and biblical perspectives framing environmental concerns and the biodiversity crisis. According to the biblical story, caring for God’s good world is fundamental to our identity as followers of Jesus. At the heart of this story is the Creator’s commitment to establish his kingdom on earth—a place absent of evil; where all the creation can flourish, where human beings can become who they were made to be, and where God himself lives with his creation. The kingdom arrived “in the beginning” through God’s creative activity, was lost when humanity rebelled, returned through the death and resurrection of Jesus and the re-creating work of the Spirit, and will be fully revealed in the new creation. Thus the biblical story does not culminate with the destruction of God’s creation, but with its renewal. The full arrival of God’s kingdom includes the restoration of all the earth so that humanity can live with God and live out their identity as image bearers and caretakers of his good world (e.g., Isaiah 65:17; Romans 8:19-22; 2 Peter 3:13; Revelation 21-22). God’s promise to one day restore all creation should not lead us to abuse and misuse it, but to value and care for it. In the time between the resurrection and return of Jesus, God intends for his people to be a preview of his renewed world—a foretaste (or foreshadowing) of the full arrival of his new-creation kingdom. We are thus the present witnesses of God’s new-creation kingdom and the evidence that the great cosmic renewal has begun. Therefore, as those who participate in and foreshadow God’s new creation, we are to live as people of the future in the present time by practicing new creation now. We believe that we can foreshadow the new creation by caring for God’s good creation and actively engaging in its preservation, conservation, and restoration in the present time. We, therefore, commit to practicing new creation by demonstrating and promoting respect, humility, self-restraint, openness, justice and love toward all aspects of God’s good creation. Michael McGrann, Ph.D., Environmental Science Dept. Research interests: As a wildlife ecologist, Dr. McGrann studies patterns in species diversity, abundances, and distributions and the underlying environmental drivers of these patterns. He is particularly interested in studying remote montane ecosystems with the goal in mind to inform conservation decisions responding to climate change and human land-use change. He is exploring the use of novel, noninvasive wildlife survey techniques, such as environmental DNA and automated recording devices, that are applicable in wilderness areas and across large regions. For over a decade, Dr. McGrann has led an ambitious, large-scale biodiversity monitoring program where wildlife surveys are conducted along the Pacific Crest Trail – the Pacific Crest Trail Biodiversity Megatransect. Research interests: While Dr. Wagner’s research background is in pure mathematics, he is pivoting towards applied mathematics to offer support to the research interests of the IBE. Currently he is studying statistics and the R programming language. In the future, he will seek to support the various research projects of The Institute by assisting with quantitative analysis of data. Fungai Mukome, Ph.D., Biology and Environmental Science Dept. 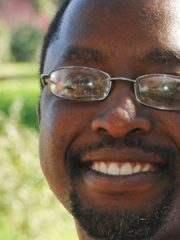 Research interests: Dr Mukome’s research interests are in soil environmental chemistry and include soil amendments; investigating soil nutrient cycling; and fate and transport of contaminants in the environment. He has extensive expertise in environmental materials characterization utilizing analytical instruments; in soil amendments such as biochar, biosolids, organic fertilizers and compost; and in investigating the interactions and stabilization of these amendments in soil and their effect on nutrient cycling and greenhouse gas emissions. Stephanie Everhart, Ph.D., Physics and Chemistry. 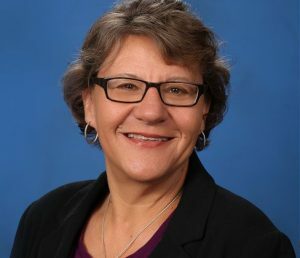 Research Interests: Dr. Everhart is particularly interested in research projects that have immediate and direct relevance to local industry and governance. As a dedicated educator in the field of chemistry, Dr. Everhart also wishes to offer opportunities for students to contribute and learn valuable data collection and analysis skills, and be inspired by clearly seeing the impact their scientific work has for our society. Portia Hopkins, Ph.D., English Dept. 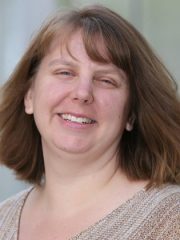 Research interests: One of Dr. Hopkins's primary research interests is the study of reading and writing as transformative learning experiences. She is exploring ways in which writing about science and discovery, as well as writing about the experience of scientists working to protect the environment, might contribute both to the communication of discoveries and to the development of the writer and the scientist. Her future plans include helping to integrate writing with the projects of the IBE. 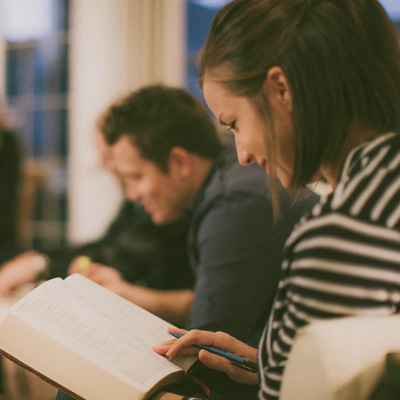 Dr. Godshall is passionate about helping students and local churches understand and live within the biblical story of God's new-creation kingdom. He believes this story applies to all aspects of our lives, but is particularly concerned with helping followers of Jesus discover the biblical framework for caring for God's good world in the present time as they long for the arrival of the new creation. 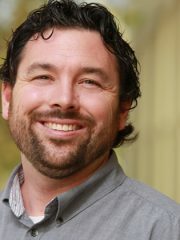 Currently, Dr. Godshall's environmental research interests include teaching an Environmental Ethics course, publishing a book on the present practice of "new creation," and engaging Christian community in conversation on the role of Christians in the biodiversity crisis and environmental issues. Dr. Carico is a political scientist with an expertise in American politics, constitutional law, and political philosophy. 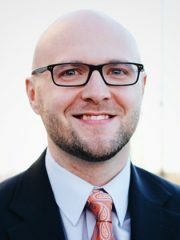 His research work focuses on the intersection of American constitutionalism and political institutions, particularly the American Presidency and the Supreme Court. Dr. Carico has presented original research at multiple academic conferences, and his written work has covered various topics—including most recently an analysis of the Constitution and the Trump Presidency in Starting Points Journal. 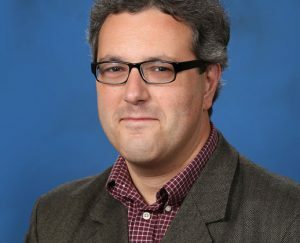 Dr. Carico’s research will contribute to The Institute’s broader scholarly goals by examining the relationship between the American Presidency and environmentalism/conservationism; assessing the historical and political links between major American political movements with environmentalism and conservationism; and, analyzing the connection generally between environmental policy (both past and present) with American constitutionalism. Dustin Bridges, Ph.D, Psychology Dept. Research Interests: Dr. Bridges is interested in how rites of passage may lay the groundwork for transformational change in regards to identity formation and spiritual maturity. 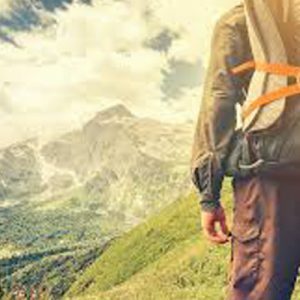 He is exploring how students respond psychologically to the intense wilderness experience of hiking the Pacific Crest Trail (PCT) as part of their environmental science honors program. Of significant interest to Dr. Bridges is the PCT conceptualized as a rite of passage for emerging adult experiences. John Richert, Ph.D., Biology Dept. and Environmental Science Dept. 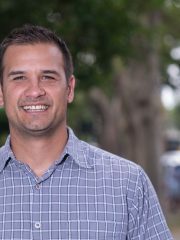 Research interests: John is a marine ecologist with extensive experience in marine fisheries, trophic interactions and coral reef ecology. The bulk of John's research has been conducted in the dynamic southern Gulf of California where he has studied the feeding habits of large migratory fishes including tunas, billfish, sharks and other ecologically and economically important species. His studies have included novel approaches to marine ecosystem study such as stable isotope analysis, ultrasonic telemetry and interdisciplinary approaches to fisheries management. 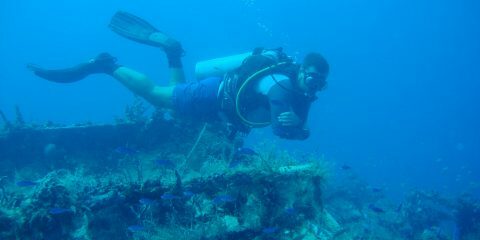 John is now developing a new research program at WJU which will survey fisheries and reef fish biodiversity in a newly formed marine protected area on the northeast coast of Haiti. He aims to combine research experience and expertise with a vision for transforming marine management and communities in Haiti. Richard Ravalli, Ph.D., History Dept. Research interests: Dr. Ravalli is a historian interested in the environmental and political dynamics of the maritime fur trade in the Pacific Ocean since the early modern era. 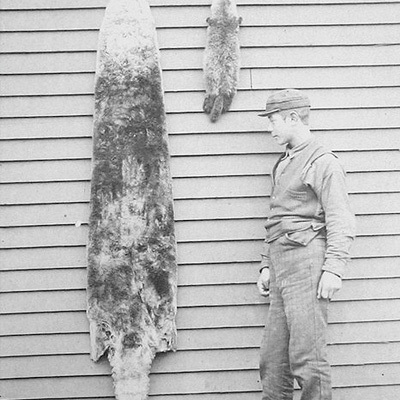 His work examines various sources of data including eighteenth and nineteenth century pelt cargos in order to better estimate historic sea otter population abundance and regional declines. Dr. Ravalli has conducted research on contemporary cultural issues associated with sea otter conservation. His book Sea Otters: A History (University of Nebraska Press) is forthcoming in fall of 2018. He has also researched the history of the American West and animal history and folklore. 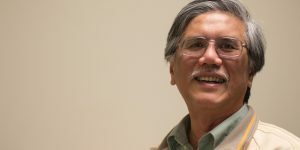 His work has appeared in Pacific Northwest Quarterly, Asia Pacific Perspectives, and Journal of American Culture. Parker Daniells, M.S., Kinesiology Dept. 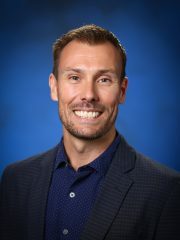 Research interests: As an exercise physiologist, Professor Daniells studies the human body in movement, performance and function through multiple scientific pathways like biomechanics, kinetics, anatomy, psychology and physiology. Daniells is particularly interested in studying environmental physiology and the effects the environment has on the human body physiologically and nutritionally. Beyond the environmental forces and interactions with the human body, Daniells is exploring the psychological benefits nature and wildlife has on ones behaviors and performance. Professor Daniells has a personal passion for exploration and adventure in the Sierra Nevada’s and PCT as an avid runner himself. 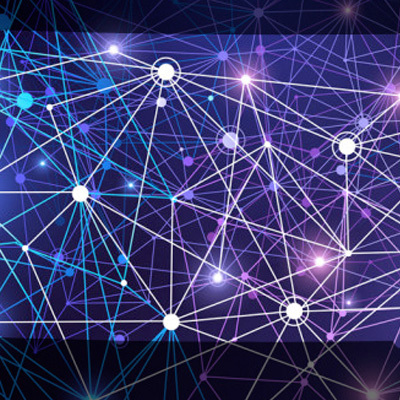 deliver and/or access the data at any time, and from anywhere they may be located.